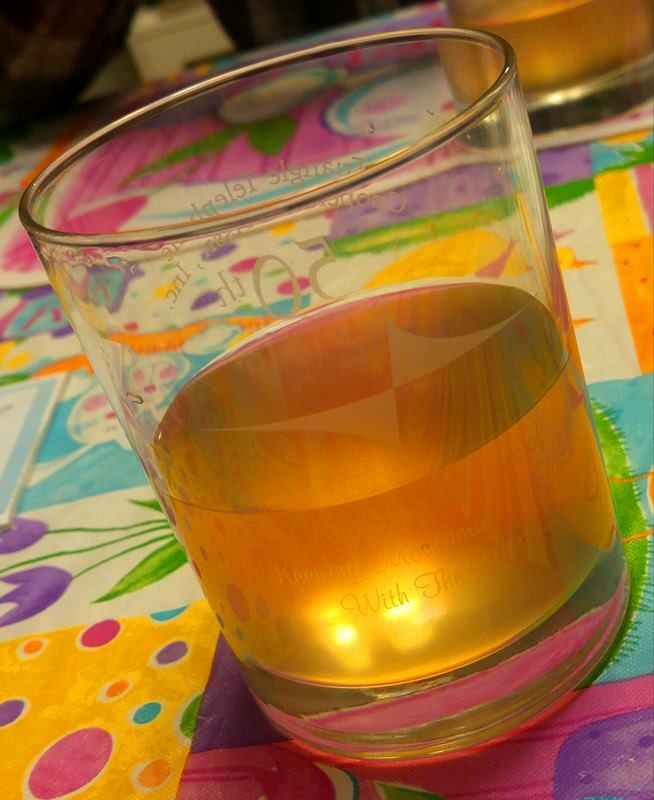 Joe Mattioli's "Ancient Orange Mead" - The BSB SportzMan - A Forum for OutdoorzMen! I have long wanted to try making mead; that is, a wine made using honey as its base. As someone who has an interest in food history as well as brewing and winemaking, it is one of those things that really appeals to me. Also, having a Scandinavia heritage, it seems that I would be destined to try this, at least once. I have seen several interesting recipes and variations...I even bought the honey to start the project at least twice; but other things always got in the way, and I never was able to commence with the actual deed. Over this past weekend, I rectified that oversight, and it looks like my first mead is off to a great start. I have never tried Mead. Is it wine? I'll try to post some additional information tomorrow! Their is a Meadery here in town. It's the only one I have ever heard of. After reading this, I might have to go and get some to try. I have had a few different means and have really enjoyed them. It is something that is different, but very good. To me, it is especially good on a winter's evening, with snow falling gently outside; it warms the soul! If you ever want to try making any, this is a good "first recipe" to try. There is also another one that I intend trying; it is straight honey, with no addition of spices of "natural" yeast nutrients. If you're interested, I can find the link to the recipe and post it. If you wouldn't mind posting the recipe I would appreciate it. If you have ever spent much time in northeastern Wyoming you know it's a rare occasion that snow falls gently. Our snow is horizontal. The snow is usually horizontal here, too - but on those rare occasions when it isn't, it sure is nice. The page looks a little strange on my phone. You have to scroll down quite a bit to get to the meat of it. On a desktop computer, It is much easier to follow. If you have any questions at all, let me know. I am probably going to try this one in the next week or two. The half-bottle was sampled and we were pretty impressed with it. I think with a little bit of aging it will be really good. It might be a very wee bit sweet for my taste, but I certainly will not criticize it. The recipe - as written - tells you to include the orange peel for a reason; this is, I believe in order to balance the inherent sweetness of this mead. Id departed from that instruction, so the consequences are mine. Having said that, it tastes pretty good, anyway! Sounds greaat. Was wondering since your first post, "How sweet is it going to be?" If all the sugar turns to alcohol, then I could drink some. If it still has a sweet taste probably has a good bit of sugar left in it, diabetic can't do. But it sure looks inviting in that glass! This particular batch came out a bit sweet; a person could dry it out quite a bit by using less honey and/or using a different yeast. There are several yeasts that would chew through the sugars a lot more efficiently, but part of the intended outcome of this particular mead leaves it somewhat sweet. If a person were going for a drier mead, I think the spices would still shine through really nicely.